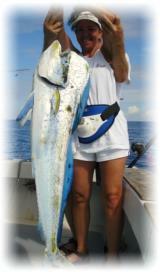 Imagine a fishing destination where on a single trip you can catch an extraordinary variety of world class game fish. You are about to discover the ultimate in salt water fishing adventure! 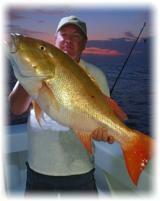 There is only one way to experience the awsome fishing around the Dry Tortugas and that is aboard Two Fish Charters. Our highly experienced captain Yuri Vakselis intimately knows the area and how to find the trophy fish. 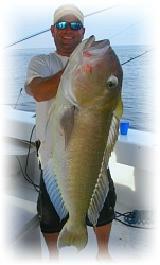 We are the busiest charter fishing operation in the Dry Tortugas for a good reason! Located about 75 miles West of Key West, Florida, the Dry Tortugas and Marquesas Keys area consistently treats anglers with an awesome sport fishing. The area is is surrounded by pristine coral reefs and is teeming with trophy salt water game species that rival any fishing destination in the world. 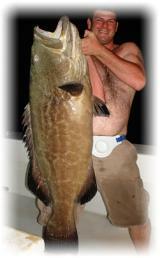 Where else can you experience drag ripping, knee buckling strike from a 50 lb.+ black grouper or a hefty mutton snapper? How about spectacular jumps of a big bull dolphin, a sailfish, or a drag screaming, blistering run of a wahoo? Yes, all this action and more can be experienced aboard Two Fish Charters on a single trip! Our 42' custom built sport fish catamaran provides a fast, roomy, clean and comfortable fishing platform. The live aboard accommodations will keep you close to all the best fishing areas for non stop, around the clock fishing action. wreck, deep ledge and deep drop fishing. Another option is offshore trolling. Please visit and subscribe to our You Tube Channel. View great videos from Two Fish Charters and friends. More fishing videos will be added soon. 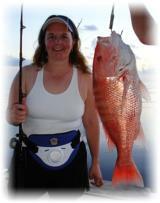 © Copyright 2005-2010 Two Fish Charters Inc.